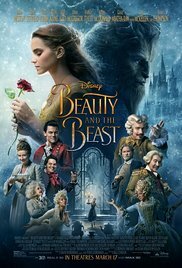 I finally got to see the new Beauty and the Beast with Emma Watson and Dan Stevens. After turning in a manuscript, I took a “Me Day” to reward myself. Two friends joined me, and there we were, three middle-aged women at 10:40 in the morning enjoying a child’s tale. But it is oh, so much more than that—due, in particular, to the well-rounded development of the characters. While working on the Tree Plotter for Beauty and the Beast, (call it a hobby, called it a disorder,) I wanted to get the inner journeys of both of the main characters. This is a romance, and to craft a well-rounded romance, we must develop both characters equally. This is also called a 50/50 romance where each character shares 100% of the story. A good romance, I believe, works when the theme applies to both characters. In fact, this should be true for any story where characters share importance. At first, I had different themes for both characters. This is okay, to a point, because there could be several themes in a story. 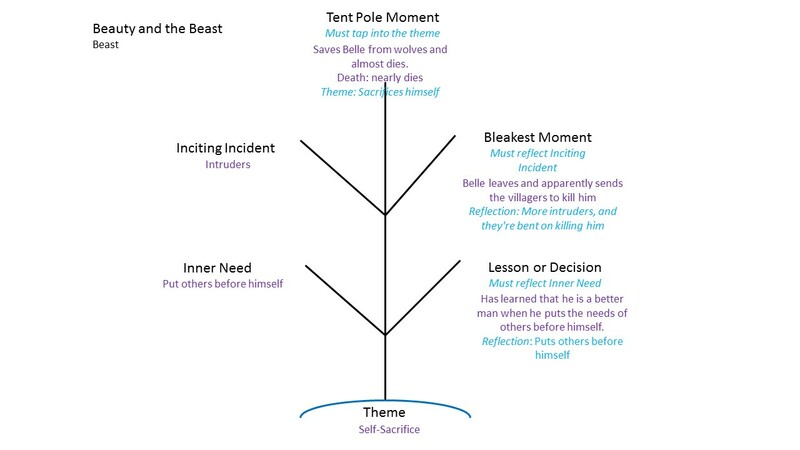 One of Belle’s themes could be “Love Beyond All Faults.” Beast’s could be “Open the Heart.” But the theme that works for each is “Self-Sacrifice.” This overall theme is what drives the story, and shows up over and over. INNER NEED: To accept herself as she is despite the villagers calling her odd. INCITING INCIDENT: Sacrifices for her father and shoves him out of the cell to take his place. 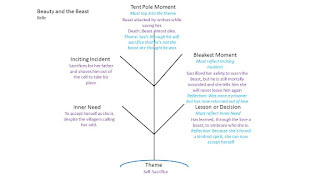 TENT POLE: Beast attacked by wolves while saving her. 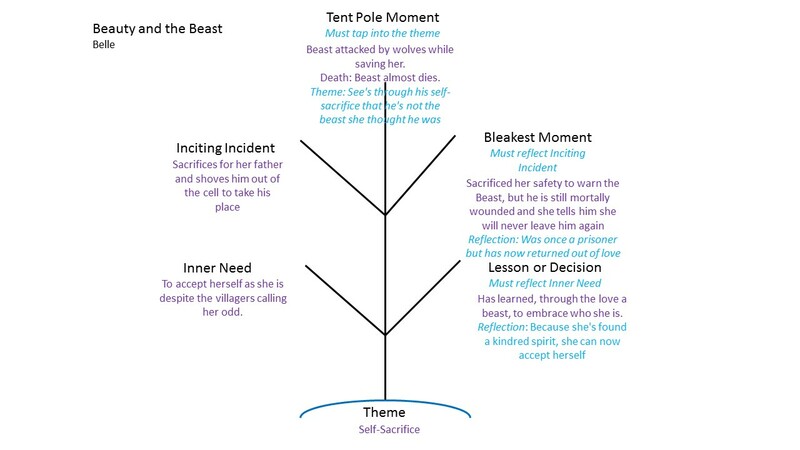 Connection to Theme: See's through his self-sacrifice that he's not the beast she thought he was. BLEAKEST MOMENT: Sacrificed her safety to warn the Beast, but he is still mortally wounded and she tells him she will never leave him again. Reflection of Inciting Incident: Was once a prisoner but has now returned out of love. LESSON/DECISION: Has learned, through the love a beast, to embrace who she is. Reflection of Inner Need: Because she's found a kindred spirit, she can now accept herself. 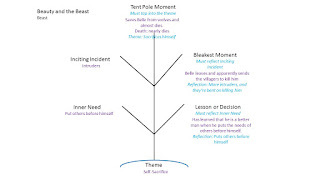 TENT POLE: Saves Belle from wolves and almost dies. BLEAKEST MOMENT: Belle leaves and apparently sends the villagers to kill him. Reflection of Inciting Incident: More intruders, and they're bent on killing him. LESSON/DECISION: Has learned that he is a better man when he puts the needs of others before himself. My take away: To write a tale as old as time, it's always good to strengthen the theme in a way that affects both characters.